We were invited at the "Thi Lakin School" in Attard to tell the children about our work. Our volunteer Anne-Marie told the children about the importance of neutering and showed pictures of our six kittens who lost their mother. Borg Cardona & Co. Ltd. donated 2 books for a competition. The children collected food for the stray cats and dogs. The collected food for the dogs was donated to Noah's Ark. Thank you Thi Lakin School! 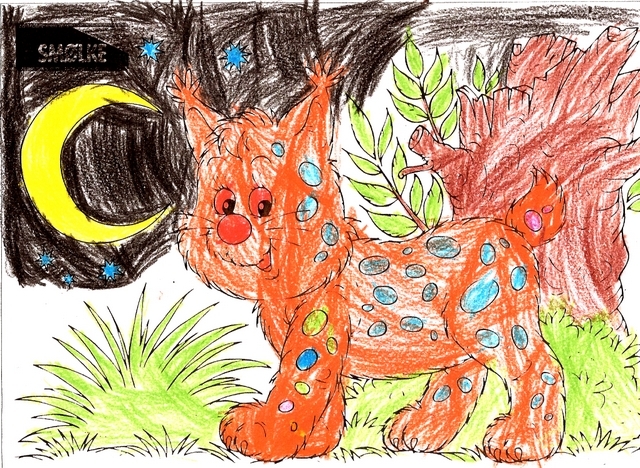 Neil won the book "Magic Kitten" with his beautiful drawing. 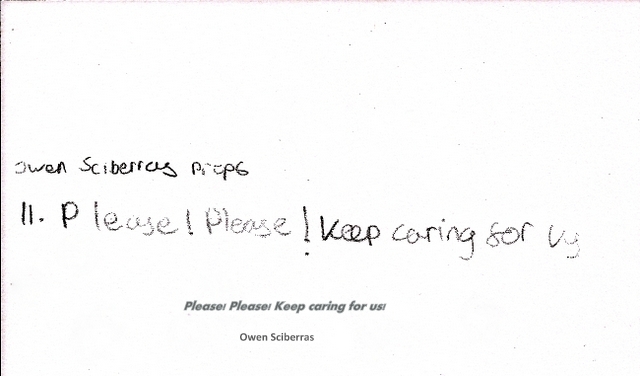 Owen won the "Encyclopedia of the cat" with his slogan: "Please! Please! Keep caring for us!" Thank you Borg Cardona & Co. Ltd. for the donated books!